We have exciting news coming out of Epcot today. 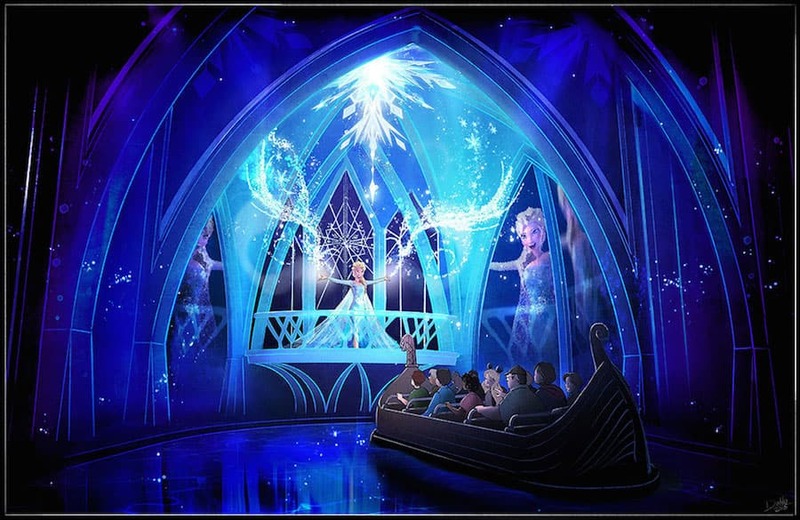 Two new “Frozen” experiences – the Frozen Ever After attraction and the adjacent Royal Sommerhus – will officially open their doors this June 21. Located in the Norway pavilion at the park, Frozen Ever After offers guests an adventurous boat tour through the kingdom of Arendelle. Guests are first transported to the “Summer Snow Day” Celebration where Queen Elsa embraces her magical powers to create a beautiful “winter-in-summer” day for the entire kingdom. Next, guests will pass Troll Valley on their way up the icy North Mountain to Queen Elsa’s Ice Palace before their return trip to the Bay of Arendelle. Fastpass+ will be available for Frozen Ever After. 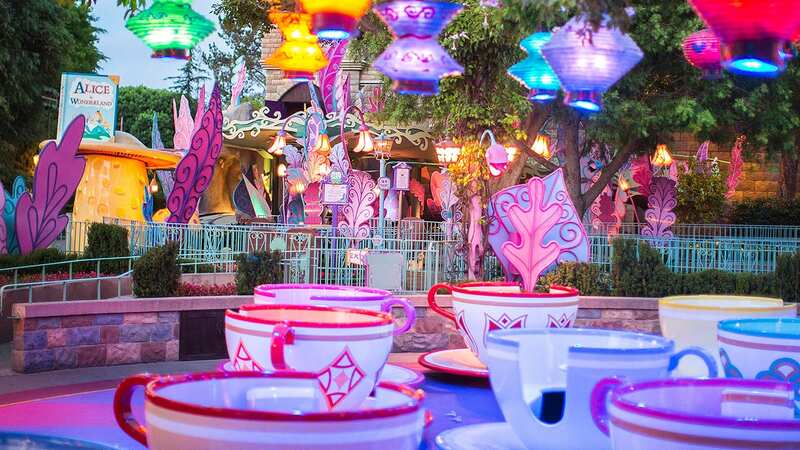 Guests can begin booking FastPass+ for this experience on Saturday, May 21. 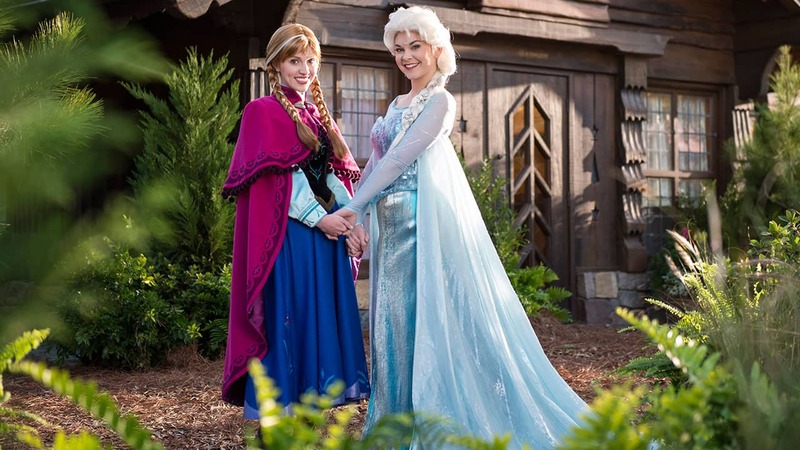 The nearby Royal Sommerhus, Anna and Elsa’s summer home, will open its doors to guests and the royal sisters themselves will be there for greeting opportunities. The Norway Pavilion will open at 9 a.m., along with the Future World area of Epcot. Don’t forget, guests can also spot Anna and Elsa over at Magic Kingdom Park in the “Festival of Fantasy Parade” and in the new “Mickey’s Royal Friendship Faire” show coming to Cinderella Castle Forecourt Stage. Check the My Disney Experience app for the latest locations and times for any Disney character. Does anyone know if you can get a fast pass for the Royal Sommerhus? If not, does anyone have any advice as to the best time to get in line to meet “the sisters”? Also, can you still meet Anna and Elsa in the Magic Kingdom? Does anyone know if the ride will have a soft opening on June 17th or the weekend of? Thanks! Just to be sure for those visitors who are going before June 21st, the meet and greet at Magic Kingdom will still be available before then, correct? Hoping for a soft opening the week before. We’ll be at Epcot on June 16 and would hate to miss out on this one. It is tier 1 and nothing was taken out of tier 1 so Soarin and Test Track still tier 1. From what I can tell still a good bit of fast passes available for that first week. We did get one on opening morning we extended our stay so our daughter can ride! Positive thing about living in Atlanta and driving we had some flexibility! Will there be a soft opening for this ride? We planned out trip in June because this ride was scheduled to open Spring of 2016. We leave on June 17. For those who have made fastpass+ selections, is this a tier1 or 2? So disappointed I worked very hard to get fast passes at 7:00 am with no luck do to error on my experience app. Any possibility for a soft opening? We scheduled out trip back in September when they were projecting a Spring opening and we will be there May 30-June 5. Do you know if Parent “Swap” will be available for this ride since I noticed there is a 32″ minimum? I’m with Lori on this. I’m also a local passholder and am a bit disheartened that we aren’t able to access fastpasses until tomorrow since today is 31 days out and not 30 so the chances of any of us being able to book a fastpass for this awesome looking attraction are very slim. Does anyone know if Disney is having problems with the fastpass selection on all princesses ? i love sitting on my computer on a saturday morning for 7 AM fast passes and they aren’t live yet at 7:20. . . .
Any estimation on what time FastPass+ will open up today? Is it possible that ALL of the Fast Passes available are gone by 6am on the first day they are available? Was it an extremely limited amount? Will more become available? Do you know if there will be a passholder preview for this like there was for Snow White & the new sections of Fantasyland? I’m so excited! We’ll be there! Do you know if there will be an opening ceremony? I’m actually kind of disappointed that it will be opening at 9 am instead of 11 am. I was hoping to be able to go to Soarin’ for the first couple hours and wait in short lines for it and then at about 10:30 am going to Norway and going on Frozen. Will it be open for morning extra magic hours? Please, please, please have a soft opening. We leave on the 18th. My five year old daughter loves Frozen. Thanks for considering my request! I know now I am a Disney fanatic! I just added 2 days to our trip to get on this ride!!! We were checking out on the 19 th. Here is to the anxiety waiting to get FP!! Wondering if there will be an accessible ride boat that will allow wheelchair users will be able to remain in their wheelchairs (similar to the Jungle Cruise), or if it will be inaccessible ( similar to Pirates of the Caribbean). Would love to be able to take my daughter on this ride. Will Norway open for early morning hours if the park does or will it still hold back till the regular park opening time? I’ve been looking forward to this ride since it was announced and it is so disappointing that fps for opening day will be released one day before annual passholders can book their fps. I am super excited about going on this new ride and the meet and greet with Elsa and Anna! Will this be available starting at 6am on the 21st for Fastpass+? Thank you for the update! Can you tell us what time FP+ booking will open on May 21? We’ll be there June 11-19. Where can we find out if there is a soft opening before the 21st? Also, is it safe to assume there might be a “Soft opening” the day prior? What time on the 21st will FastPass+ be available? Is it midnight? How awesome!! Being able to see the new Soarin and frozen rides on the same day. I can not wait to get down there!! How will DAS users (those who have difficulty waiting in long lines) be accommodated for the meet and greet since there is not a FP+ for it? what about the stave church? is there going to be anything representing Norway other than some architecture? Thank you for your quick responses. Will FastPass be available for Princess Fairytale Hall at Magic Kingdom before Elsa and Anna move to Epcot? As of this morning, they do not appear to be available for mid-June. Opening on the first day of summer–how appropriate! Isn’t the first day of summer Anna’s birthday? I remember back in October 2013 when they announced that Elsa and Anna would begin meet-and-greets in Epcot’s Norway pavilion starting a few weeks before Frozen was released. They were scheduled to be there until February. No one had any idea just how big Frozen was going to be. Now, Frozen has taken over the entire Norway pavilion. My daughter was 6th in line to meet them at their soft opening in Disneyland. The movie hadn’t been released yet, so she didn’t know who was who. So will there be a new selection of Disney princesses at Magic Kingdom now that Anna and Elsa are moving? I am going to be there the week of the 21st. I want to make sure my daughter gets to go to Fairytale Hall. Doesn’t matter who’s there. Haven’t seen any fast passes available. Also, will either of these attractions be open for Extra Magic Hours? Once this opens in June, will Elsa & Anna still be at Magic Kingdom for Character Meet & Greet? Will FP+ also be offered for Royal Sommerhaus Meet and Greet or just Frozen Ever After? Any idea if there will be a soft opening before june 21st? This is the only date we’ve been told. Attraction only. Royal Sommerhus is standby only. Is this a tier one fast pass? I assume so, but it couldn’t hurt to ask! I think that’s safe to assume. The attraction will be wonderful. Can you give us info as to what tier the new “Frozen Ever After” ride will be placed in using FP+? Thank you! Will Princess Fairytale Hall remain open at Magic Kingdom the first half of June or will there be no meet and greets for Elsa and Anna in June before the Royal Sommerhus opening June 21?